Member Spotlight: Board Member Kathleen Pointer! Kathleen Pointer is a freelance journalist working mostly in the Midwest though she spends a significant amount of her time traveling all over. Her reporting topics include health care, local politics and spotlights on community leaders. 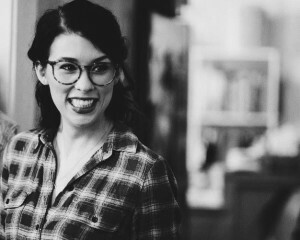 Although not originally from the area, Kathleen hails from Kansas City and has degrees in journalism and women’s studies from the University of Missouri, she made Chicago her home for the last five years. It was easy for her to fall in love with the vibrancy of this city and she has enjoyed finding ways to get involved with the local community, especially through social justice events and rallies. Recently, she presented at the Chicago NOW’s Give Your Choice A Voice speak out and fundraiser. She also enjoys sharing other stories and essays at live lit reading events. Kathleen is currently serving on Chicago NOW’s executive board as the organization’s secretary. She joined the board in 2015. She is particularly passionate about reproductive health issues, combating racism, and supporting LGBTQ rights. Her No. 1 goal at Chicago NOW is working to make sure all feminism is intersectional feminism. Chicago NOW participates in Illinois Resistance Fair! 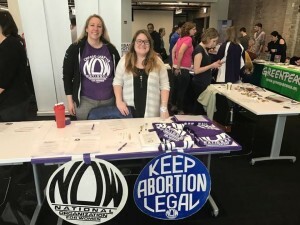 On Saturday, April 8, Chicago NOW participated in the Illinois Resistance Fair geared to engage individuals looking for that perfect volunteer experience. 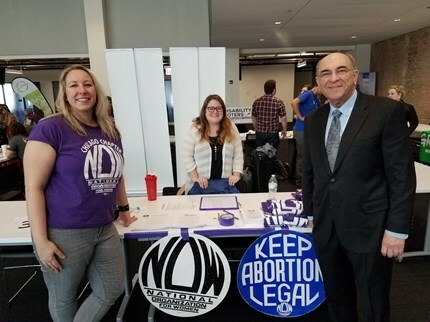 Five hundred-fifty future volunteers participated in the fair matching with over 30 chapters of national, state and local organizations who represented political interests, legal, environmental and equality issues. Chicago NOW received interest from lots of new volunteers and we welcome them to our organization! Stay tuned for more information on upcoming events from our action team. Check our Facebook page for more. On April 8, members of Chicago NOW participated in the Illinois Resistance Resource Fair. This event brought several different kinds of volunteer organizations together in one room as a kind of volunteer resource matchmaking service. Attendees were able to visit with exhibiting organizations and learn more about their mission, vision and engagement opportunities. With over 550 people in attendance, Chicago NOW connected with many supporters who were looking to join in our activities. We welcome all our new members and look forward to working with you in the future! Give Your Choice a Voice – Call for Artists! Are you an artist, musician, poet, storyteller, essayist, comedian or performer interested in exploring choice and empowerment? We want you to share your stories for Give Your Choice A Voice 2017! 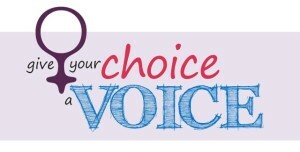 The Chicago Chapter of the National Organization of Women (CNOW) will be hosting the 7th annual “Give Your Choice a Voice” event on Wednesday, April 26th, 2017 at . This event will also be a fundraiser for CNOW & the Midwest Access Coalition, which provides travel, accommodations, and support to those who travel to Chicago to access a safe, legal abortion. We are bringing together pro-choicers from across the city for a chance to be a part of a safe, positive space to engage in the dialogue on reproductive choice & body autonomy including abortion, contraception, pregnancy, miscarriage, fertility, gender identity and affirmation, and much more! It’s your body; it’s your choice and we want to hear your story! In addition to personal testimonies, the evening will also feature musical and spoken word performances, professional storytellers, comedians and more. If you are interested in performing or volunteering for this event, please email us with your submitted piece/a short description of your story or performance and a short bio at chicagonow.org@gmail.com.